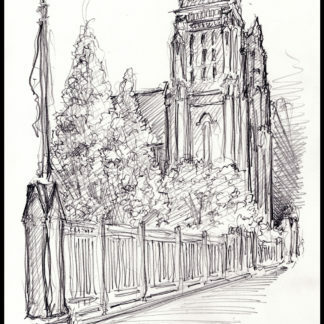 Chicago city scene #130Y pencil drawings are metro cityscape stylus sketches with JPEG & PDF scans and prints by artist Stephen F. Condren, BFA-SAIC, at Condren Galleries, a Fine Arts Gallery, with low discount prices and that are on sale, at cheap cost. 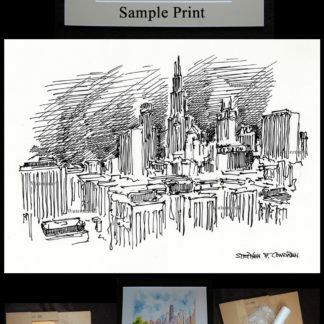 Because Chicago city scene pencil drawings are great, their prints are great! Because these renderings are best for casting shade and shadows gradually. Live on the spot renderings are the best way to capture the scene.